Bed bugs are hard to kill. Have you ever sprayed a can of pesticide on a bed bug only to see it crawl away unaffected? Millions of people have experienced the same feeling of helplessness after seeing that. What is it about bed bugs that makes them so impervious to certain pesticides? Let’s take a closer look and dig into how bed bugs resist chemicals. The timeline of bed bug resistance starts almost a century ago. During and after World War II, DDT became the insecticide of choice to deal with bed bug infestations. DDT was a powerful organophosphate that proved lethal to bed bugs of all ages and strains for many years. It’s credited with the near eradication of bed bugs in North America and most of Europe for decades. Despite its infamous potency, not every bed bug exposed to DDT succumbed to it. Bed bugs have a short lifespan and can start breeding only weeks after birth. This allows them to mutate in an attempt to survive environmental changes. Some bed bugs that encountered DDT had mutations that allowed them to resist its toxins. DDT likely wiped out all but the most resistant strains of bed bugs. The survivors were the ones that mutated and can completely resist chemicals like DDT. Their offspring then thrived with those powerful resistant properties intact. After the US banned DDT use in the 1970s, the pest control industry moved on to weaker alternatives. By then, bed bugs had the genetic tools in place to build resistance to almost any synthetic insecticide they ran into. Modern bed bugs can secrete chemicals that digest poisons on their shell, rendering them harmless. They can even flush toxins from their internal organs using sophisticated biological pumps. After decades of absence, bed bugs returned to the US in force over the last few years. It’s believed that all these modern bed bugs are completely resistant to DDT. The majority of active strains are also showing resistance to many modern pyrethroids. These insecticides had gained mainstream popularity in recent years, but we’ll need to address these new bed bugs in new ways. The first key to dealing with the modern bed bug epidemic is understanding how bed bugs resist chemicals. That way, we can know how to wipe them out again. Researchers from Washington State University and the University of Kentucky stepped up to the plate. They conducted a four-year study that identified 14 unique bed bug genes. These genes appear to work to repel pyrethroids in common use today. The study’s co-author, University of Kentucky’s Subba Palli, believes that the solution lies in using RNA to interfere with these unique genetic functions. In laboratory settings, RNA strands can be injected directly into a bed bug. But this isn’t as simple a task with wild populations. We would need to develop a technology that can inject the RNA strands in a less direct way. Another option would be to alter a bed bug’s existing RNA to perform the same interference. “If someone solves that, I think we could have a really good product,” said Palli. In the field, pest controllers are seeing pyrethroid resistance develop during treatments. When exposed to a single insecticide, infestations can begin showing resistance in just a couple of generations. Since bed bugs can hatch and mature in just three weeks, the timeline for resistance to show is very short. When addressing how bed bugs resist chemicals, there are two forms of resistance you’ll need to consider for your home treatment. The first is evolutionary resistance, which developed over decades. This long-term change has made certain chemicals ineffective for practical treatment. The other concern is short-term mutations, which can impact your follow-up treatments. 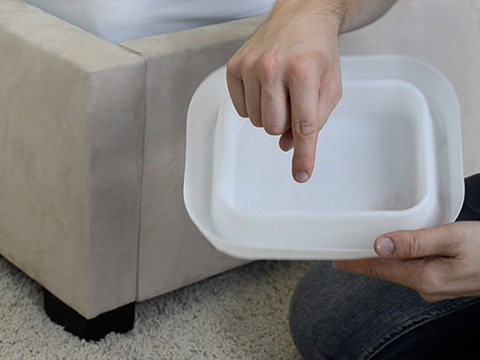 The first step is to make sure you’re not relying on a single chemical product to treat your home for bed bugs. Not only is it likely that the bed bugs in your home will resist chemicals they’re exposed to repeatedly, but it’s incredibly unlikely that you would be successful either way. Modern bed bug treatment strategies, like our 4-step solution, combine both chemical and non-chemical methods of attack. It’s also recommended that you use multiple contact and residual sprays to ensure that the infestation can’t mutate to resist chemicals they’ve been exposed to. Just a few years ago, there was a wide range of chemical compounds on the market that were proven to kill bed bugs, either on contact or over time. Over the years, bed bug strains have developed resistances to many of these compounds, and those products are no longer as effective. To cut their losses in the development of these compounds, the manufacturers started selling to hardware stores and supermarkets at a discounted price. Since these off-the-shelf sprays may not be able to curb your bed bug population, don’t use them! Instead, opt for newer contact and residual sprays that are effective against all strains of bed bugs. They may cost a bit more, but you will have peace of mind knowing that what you are applying is doing the job. 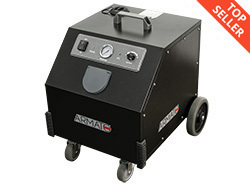 We only carry the newest products with no known bed bug resistance. Pest control manufacturers have waged war against bed bugs for over a century. From the early days of tobacco leaves and organophosphates to the dual-action formulas of today, the arms race rages on. Since bed bugs have evolved to resist traditional chemicals, developers have had to stay on their toes with the latest and greatest treatment methods. When commercial pesticides first appeared around World War II, we treated for bed bugs using organochlorines such as DDT. Organochlorines were organic compounds that attacked the peripheral nervous system, keeping sodium channels open after activation to cause paralysis and death. This mode of action became the standard for pesticide development in the decades to follow. But bed bugs wouldn’t be stopped by DDT forever. Thanks to their uncanny ability to build resistant to pesticides, bed bugs quickly evolved to shrug off DDT along with its competitors. Now that bed bugs have resurged in population and spread all over the Western world, pesticide manufacturers have had to go back to the drawing board to come up with a modern solution. In 2006, MGK introduced the first pest control product specifically designed for bed bugs. 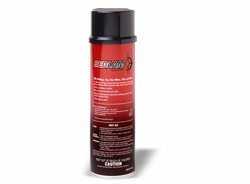 Bedlam was also the first to employ a dual-action aerosol formula to provide a quick knockdown and a long-lasting residual killer. This resulted in a solution that killed 85% of exposed bed bugs within a minute of the application and killed 98% of the remaining bugs over the next two weeks. Bed bugs are notoriously hard to kill. Worse yet, they’re difficult to treat on a larger-than-individual scale, whether we’re talking about a bedroom or a continent. Just as bed bugs have grown resistant to DDT since its US ban in the 70s, so too have their genetic detox tools been used to address more modern methods of attack. At the time of its release, Bedlam was the most effective version of a pesticide class called pyrethroids. Pyrethroids are synthetic derivatives of the naturally-occurring compound pyrethrin, which attacks bugs’ sodium channels in a different way than the organochlorines of the early 20th century did. While Bedlam doesn’t rely on a pyrethroid to do all of its killing (it is a dual-action formula, after all), that pyrethroid is a big part of what makes its knockdown work. Today, researchers have identified widespread strains of bed bugs that have developed an innate resistance to pyrethroid chemicals. These unique genes allow resistant bed bugs to secrete chemicals on their shell, digesting the pyrethroid compound before it gets a chance to enter the bug’s bloodstream. These pyrethroid-resistant bed bug strains now make up the majority of the Western population encountered today. To combat this newly resistant threat, MGK went back to work on developing a compound that would effectively neutralize any bed bug infestation. In 2012, they released the fruits of their labor: Bedlam Plus. This unique formula combines the same proven dual-action formula seen in Bedlam with a unique synergist that counters the resistance method that bed bugs use to protect against pyrethroids. 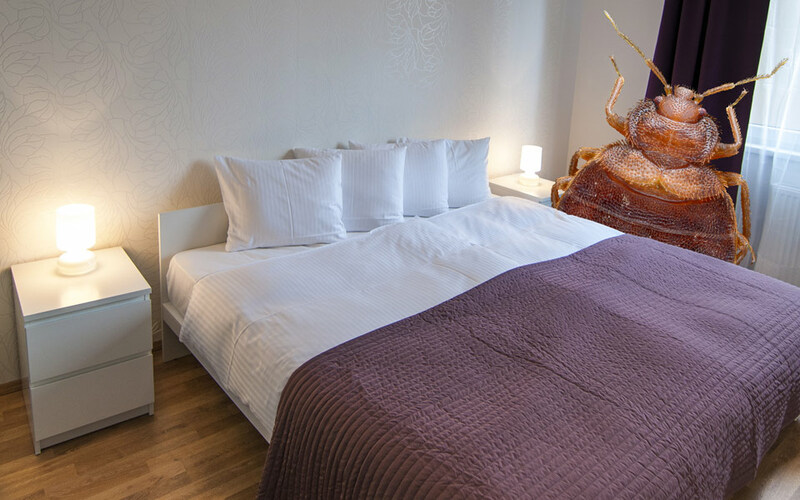 The synergist proved effective, as Bedlam Plus was able to achieve a 100% kill rate on all of the most common strains of resistant bed bugs. Both Bedlam and Bedlam Plus are in active use in the field today. They both offer an easy to use, water-based foaming compound that combines a fast knockdown with long-lasting residual control. Their broad labels allow flexible use throughout a bedroom or other indoor area, and their low odor, non-staining solution is generally safe wherever water would be. The odds of bed bugs in your home being resistant to pyrethroids is very high, with estimates of resistant strains making up as much as 85% of the Western population today. 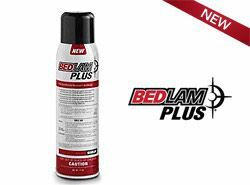 While both products are likely to cut down on your infestation’s population and activity immediately after use, only Bedlam Plus can ensure that resistant bed bugs will die as well. Nonetheless, neither product should be used to treat bed bugs on their own, and when combined with other products to form a complete bed bug treatment solution, both Bedlam and Bedlam Plus will do their job well. Bedlam controls Bed Bugs, Dust Mites,Fleas, Lice and Ticks by killing on contact and providing lasting residual performance. Bedlam is labeled for use in the toughest hiding places. As a water-based product, it won’t stain water-safe fabrics. Bedlam works for the most demanding jobs. You can rest assured.